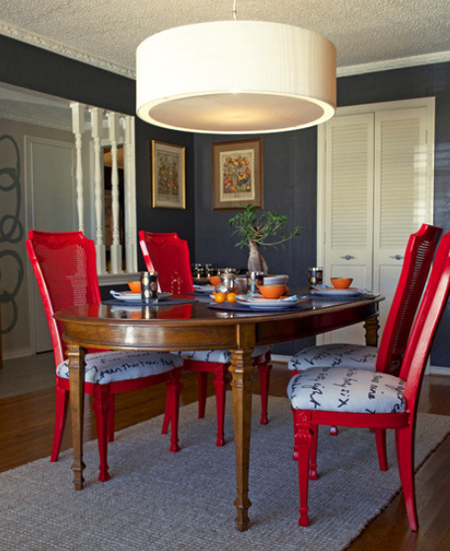 HOME DZINE | A dining room suite goes gloss! A dining room suite goes gloss! 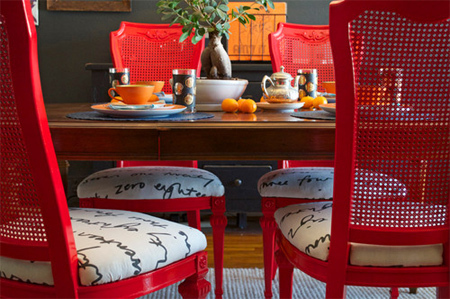 While painted wood is not everyone's cup of tea, where hand-me-down furniture just doesn't fit in with your decor, a can or two of Rust-Oleum spray paint can totally transform and revamp a dining suite in a weekend. When Sarah Greenman and her husband bought their house, they also became the owners of a dining set the previous owners had left behind. 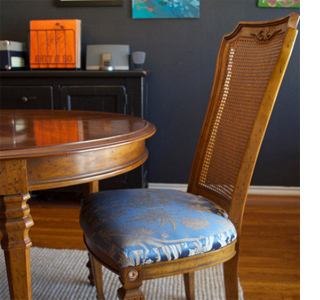 "It wasn't our style, but it was sturdy and comfortable, and as my dad says, "Love the one you're with", so after living with the hand-me-down dining set for three years, I was ready for a budget-friendly upgrade." said Sarah. 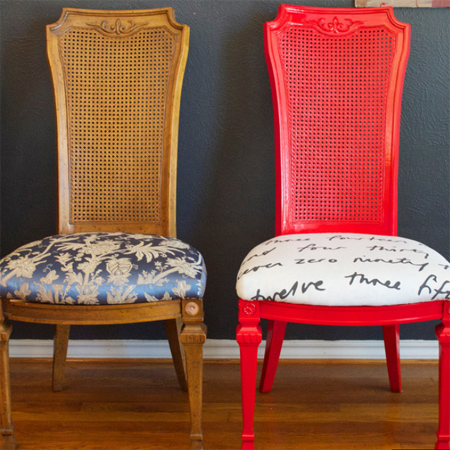 Here's how I took my dining chairs from blah to bold one weekend. 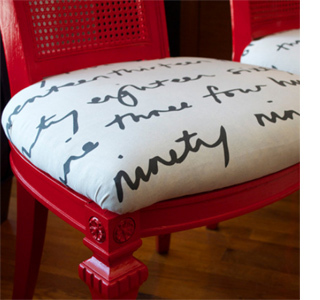 First, you will need to remove the seat cushions and set them aside. Place an old sheet or dropcloth down where you will be spray painting. 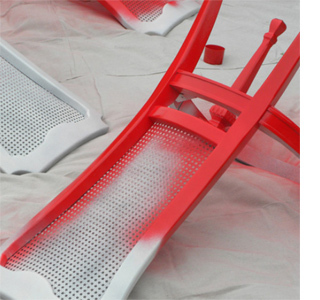 Put on goggles before spraying each chair evenly with Rust-Oleum spray primer. Allow them to dry completely; the chairs should be ready for the next step within 20 minutes. While it's always a good idea to do any spray painting outdoors, do it on a day that isn't too windy and work in the shade. On previous occasions I have found that spray painting in the sun on a hot day tends to leave the finish slightly tacky - even when dry. 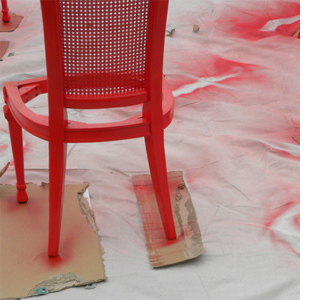 The chairs are painted with Rust-Oleum gloss apple red. Shake the can well and follow the instructions. Spray evenly and from the correct distance for best results. Allow the first coat to dry completely before applying a second coat (if necessary). The seat cushions are covered in new fabric before re-attaching to the chair frame.